In recognition of the International Day of the Bible, translators and support workers gathered to celebrate language groups receiving God’s Word in this country. 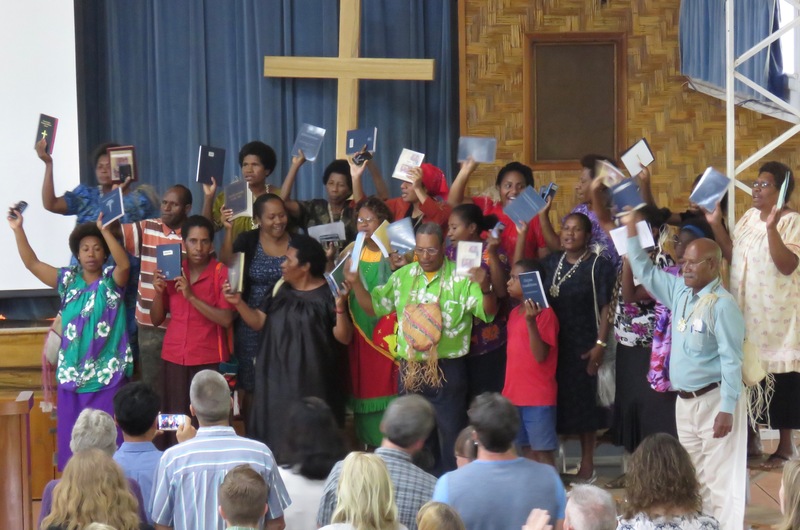 In the past twelve months, Papua New Guineans received completed New Testaments in five languages, printed Scripture portions in 14 languages, and audio and video Scriptures in 13 languages. 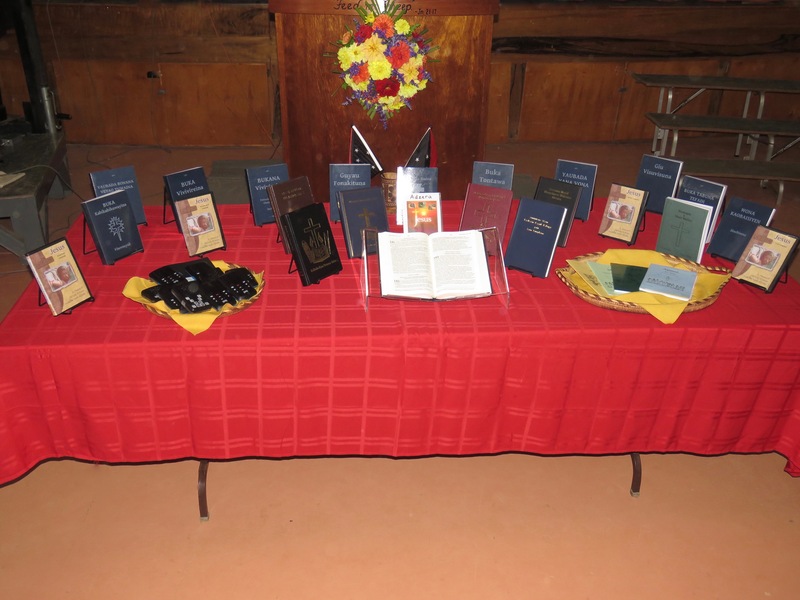 The room was filled with rejoicing as men and women walked, skipped, and even danced to the front of the church carrying copies of these newly published Scriptures. Even as they celebrated what has been done, the group prayed for those who are still laboring to bring God’s Word to others. They know that getting the Scriptures in the hands of the people doesn’t come easily or without cost. With the Scriptures dedicated this year, the teams faced challenges right to the end. When the Uram translator arrived for the dedication, there was tribal fighting and the helicopter could not land. When the Alotau teams planned to send the mini-bibles to language groups on the islands, the boat they had reserved was not available. Travel in other places was postponed by rain and mudslides. However, through it all God’s people persevered and saw God provide alternative means of transportation. A highlight of the morning of Scripture celebration was hearing a testimony about one of the groups who received printed Scriptures this year, the Dedua people. They are so eager for God’s Word that in a recent Bible teaching course people walked for hours over mountain paths to study the Scriptures. When they arrived and the church was already filled to capacity, they listened through the open windows. Like the Dedua people, many people in PNG receive the Scriptures with great joy. Sadly, in other places people have had the New Testament in their mother tongue for several years but show little interest in reading it. Please pray that the language groups who received the Scriptures this year would cherish God’s word and allow it to transform their lives and communities. Papua New Guinea has people groups that speak more than 800 distinct languages. Many of those are inaccessible to land travel, being located in high mountain ranges or on remote islands. Kodiak airplanes with their short take off and landing capabilities are essential in reaching these destinations. But sometimes no piece of land is available that is long enough to build an airstrip. In those cases, language and literacy workers arrive and depart by helicopter. These aircraft are intricate machines which must be tuned to precision to make safe passage to distant places where there are no alternative landing strips are available. Pilots and their passengers must arrive at their destinations safely. Working quietly behind the scenes to make this happen are the mechanics of the aviation department. 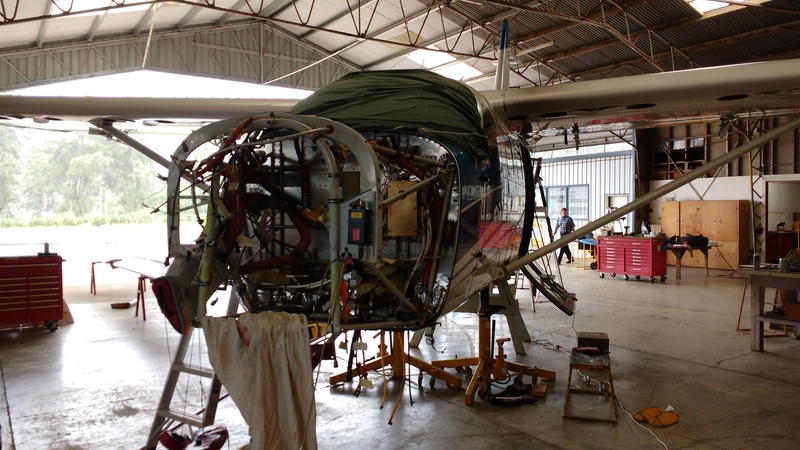 The first Kodiak arrived in PNG in 2010 and since its engine recently reached its lifetime limit of 4000 hours of flying, it rolled into the hanger for servicing. Expert mechanics took it apart, removed the well-used engine, and installed a new overhauled one in its place. Since they have operated this aircraft for six years in a fairly harsh environment, the aviation team continued their probe by looking deeper into the airframe than they normally would during a routine 100 hour inspection. This evaluation of the Kodiak involved removing the landing gear and all the flight controls for detailed inspections. Several significant issues were discovered and corrected during the process so it was time well spent. Soon this Kodiak will rejoin the other three airplanes and two helicopters, flying the skies of Papua New Guinea, carrying translators and literacy workers to all parts of the country. As translations are completed, these planes transport the Scriptures in print and audio form, bringing God’s life-changing message of hope to every language, and people group, and hamlet. 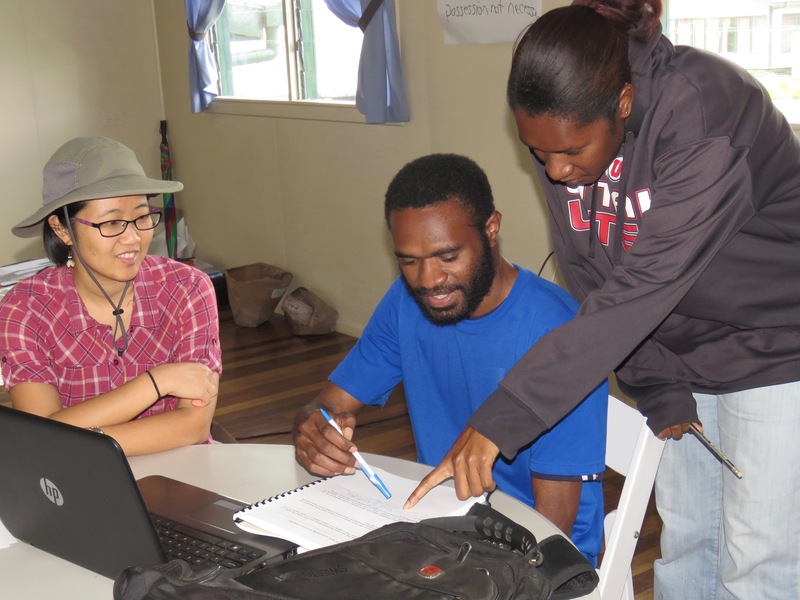 Throughout Papua New Guinea, men and women are translating the Scriptures for their own people. Seventeen of these translators met together for four weeks to study the grammar of their individual languages. They discovered that their languages are distinct, not only in their vocabulary, but often in their structure as well. Each person made significant discoveries about his language. One man learned how verbs in his language fit together in a series to give a new meaning. Others discovered how prefixes and suffixes change the meaning of verbs. All of them analyzed numbers, transition words, and word order. Understanding these things will give them more confidence in their work and give them a strong foundation for tackling the translation of any sentence. 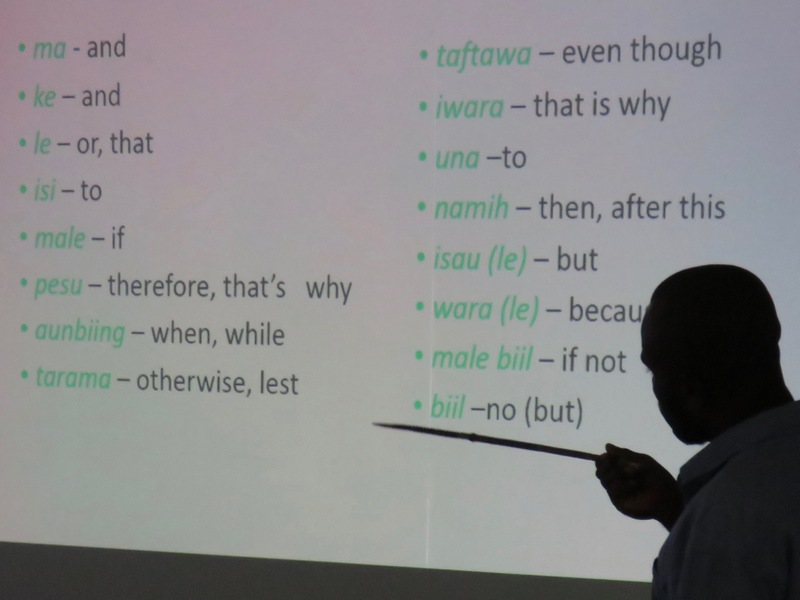 As they analyzed their language, they compiled a grammar paper to take home with them. This initial description of their language will serve as a reference tool for them, as well as a way for them to show others in their language group the unique and beautiful way that their language is formed.